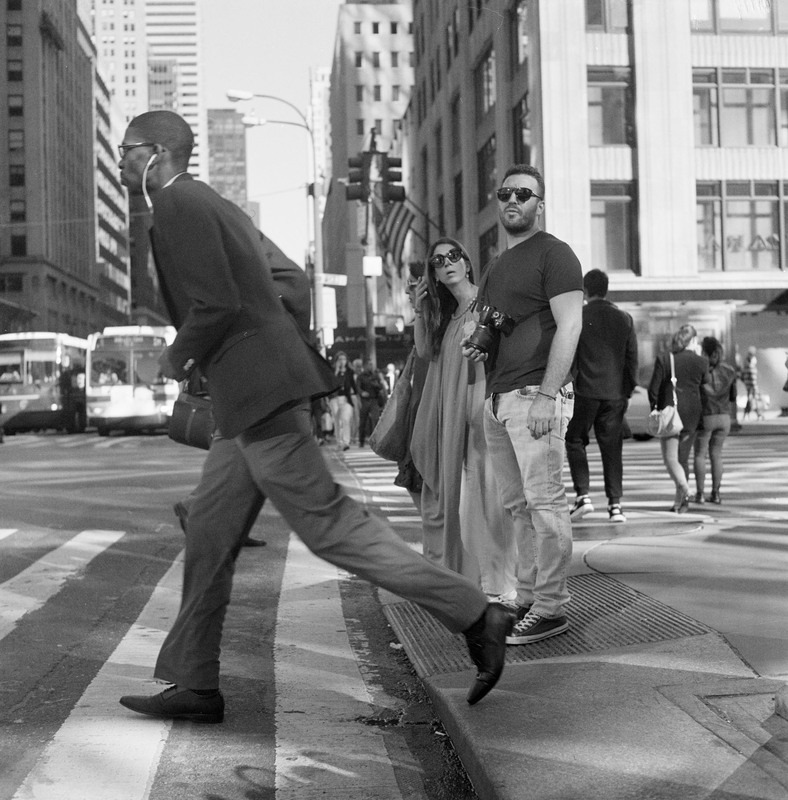 A tall man runs across busy New York Street in Midtown Manhattan, New York City. A tall man runs across busy New York Street in Midtown Manhattan, New York City. Film, Photo, NYC, Street.